Anna Redwood thinks of paintings as being pieces of music created by my hand, feeling and thought. This, combined with a fascination of celebrating paint, the textures created with a single brush, never cease to amaze and excite him, including combinations both brittle and sensual. One colour alone is not exciting, but when placed next to a second, third and fourth, the story and music begin. Anna works mainly in oils on either board or canvas. With portraits, she usually does a charcoal sketch to start with and work out a pose. She tries to paint the portrait in about three sittings. If she is working with models, she will either work with oil, acrylic and charcoal from life or again do some sketches and then work on a number of paintings, perhaps of the same pose at the same time. Anna loves to experiment with mixed media, form, structure, colour and enjoy the sheer celebration of paint. With her sculptures she works with clay to begin with. In the last series of work, she was really looking for a tranquillity and serenity in the figure, whilst being an object reflecting the beauty of the human figure. Anna loves the change of three dimensional works and find it beneficial when returning to painting. The tactile nature of working with clay, followed by the exciting transformation into bronze which takes on a life of it’s own. 1967 Anna Redwood was born in Folkestone, U.K.
She spent much of her childhood living abroad in Asia, Africa and Europe. 1988 Studied at Newcastle College of Art. 1989 Studied at Cecil Graves Academy, Florence. 1996 Elected member of the Chelsea Art’s Society and Bruton Art Society. 1998 Elected member of the Royal Institute of Oil Painters. Winner of The Worshipful Company of Painter’s Stainer’s Prize for Painting. Runner up in The Winsor and Newton Young Artist Award. Winner of The Winsor and Newton Young Artist Award. Winner of the Tollitt and Harvey Award. 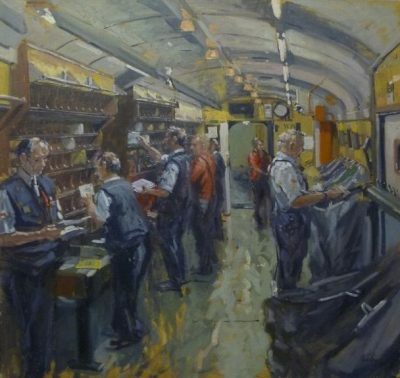 Winner of Worshipful Company of Painter’s Stainers Prize. 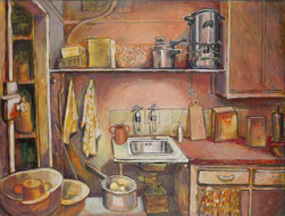 Finalist, Young Artist’s Award, ROI. Highly Commended for Sculpture – AFAS Exhibition, Mall Galleries. Anna currently exhibits at Cricket Fine Art, London and The Wykeham Galleries, Hampshire. Previous exhibitions include: solo exhibitions at Wykeham Gallery, Summerleaze Gallery and three solo exhibitions in Singapore. 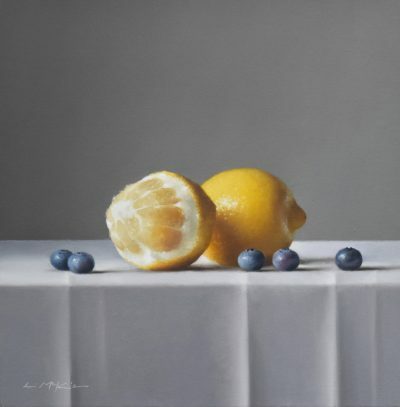 She has had many two-man and group exhibitions including: Alexander Butman, Paris; Osborne Studio Gallery, Cork St, London; Christies; Bonhams; The Royal Society of Portrait Painters and has exhibited a number of times the Royal Academy Summer Exhibition. Anna is a successful portrait artist, with many portrait commissions, including: the Master of The Royal Household Sir Simon Cooper; Lady Tate of the D’Oyly Carte Opera Company, and the Colonel of the Royal Regiment of Fusiliers, General Cosmo Nevill, which now hangs in the Tower of London. She has also drawn Mick Jagger. She has also had a number of military commissions, including the Presentation of Colours by HM the Queen to RMA Sandhurst; HM Queen Elizabeth, the Queen Mother to the Black Watch at Glamis Castle and at her home Birkhall; also the Duke of Gloucester to the Kings Own Scottish Borderers. She painted The Royal Company of Archers, The Queen’s Bodyguard for Scotland at the Lying-in-State of Her Majesty Queen Elizabeth, The Queen Mother, which now hangs in Archers Hall.